One of my best friends has the most adorable little lady who had her 2nd birthday this past November. 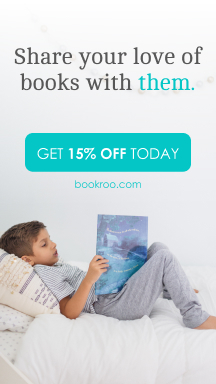 Since I love books and I love sharing the love of reading with little people, I thought I would send my little buddy a book shipment from BookRoo for her birthday. 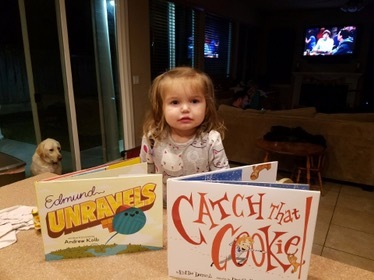 I am happy to report that she and her mommy loved the books and especially loved the fact that she got a fun wrapped package in the mail addressed to her! Her mommy was kind enough to send me some photos to share with you all. Mommy was also happy to report that the books were super high quality and they came with a card describing each of the books. I also posted book descriptions of the ones sent to her so you can get an idea of some of the stories included in their shipments. For those of you interested in purchasing books for your little’s this holiday season, here is a coupon. Please send me photos and reviews if you purchase this for your kids or send it as a gift. I would love to share your experience with my subscribers! Click The Banner for 15% Off! She couldn’t wait to open her goodies! This delightful debut picture book celebrates both the joy of venturing into the unknown and the value of staying connected to loved ones back home. 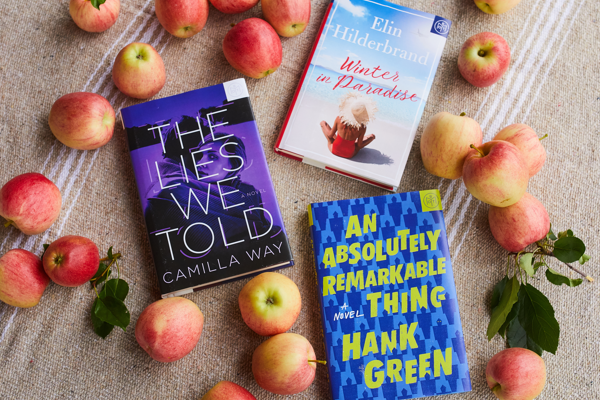 It stars a little ball of yarn who can’t resist the tug of adventure, the twists and turns of discovery, or the comfort of family and friends. Edmund is a ball of yarn and a ball of energy! From the time he could roll, he’s been bouncing down his front steps to explore, and his parents have always been right there to reel him in and roll him back up. But now that he’s bigger, Edmund is ready to discover the wonders of the world. Everything is new and exciting—but sometimes, even a little ball of yarn gets lonely, and there’s nothing better than the comfort of being around those he cares about. Solve the riddles to find the runaway gingerbread men in this funny and magical cookie hunt! Marshall knows one thing for sure, despite what all the stories say: Gingerbread men cannot run. Cookies are for eating, and he can’t wait to eat his after spending all morning baking them with his class. But when it’s time to take the gingerbread men out of the oven . . . they’re gone! Now, to find those rogue cookies, Marshall and his class have to solve a series of rhyming clues. And Marshall just might have to rethink his stance on magic. Catch That Cookie! is an imaginative mystery, deliciously illustrated by Caldecott Medal winner David Small. It’s sure to inspire a new classroom tradition . . . and maybe even a few new believers!